24-Feb-19: Rashid Khan became the first bowler picked up four wickets in four deliveries in T20 Internationals. 25-Mar-18: Rashid Khan became the fastest and youngest bowler to take 100 wickets. He took 44 matches to take his 100th dismissal, breaking the previous record of 52 matches, set by Mitchell Starc of Australia. 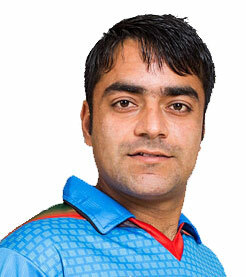 04-Mar-18: Rashid Khan becomes youngest international captain at age 19.